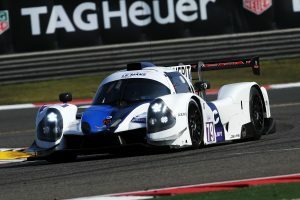 Ecurie Ecosse / Nielsen Racing enjoyed a successful debut weekend racing in the Asian Le Mans Series in Shanghai, both its Ligier JS P3s finishing in the top five of the hotly-contested LMP3 class in Sunday’s four-hour race. The best placed Ligier of the two was the #79 of Colin Noble and Tony Wells. The pair, who won the British LMP3 Cup together this year, looked good for a strong result all weekend long. They set fast times in practice and qualified sixth on the grid, before finishing the race fourth ahead of the team’s sister #7 Ligier of Christian Olsen and Nick Adcock which came home fifth. Colin Noble started the race, which was held in clearing fog and on a greasy track, in the #79. He held station early on, before gradually moving up the order in the opening two stints. Noble was forced to double stint tyres during the middle of the race, but was still able to keep the car in contention for the class lead, spending multiple laps in the second hour battling with the leader, briefly taking the top spot at the hairpin. Unfortunately, he was unable to keep the pace up too long, as he was carrying damage to the rear after being hit by a faster LMP2 car in the first hour of the race, which worsened as time went on. Wells climbed in with 90 minutes to go, and continued to push. With the field spread out though, he was unable to climb back to a podium spot after his final stop, crossing the line fourth. The sister #7 Ligier meanwhile, suffered poor luck in the race. Olsen and Adcock’s combined pace was good enough for a podium finish, but the race’s second safety car period in Hour 2 cost the team a lap due to the cars ahead getting waved around to the back of the field. The team was also dealt a 20-second penalty for a pit stop infringement, this meant Olsen towards the end of the race was only able to salvage a fifth-place finish. 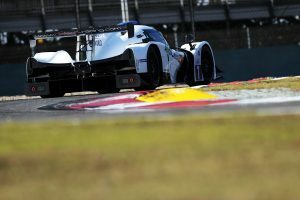 Both driver pairings did however score well in the points in their first Asian Le Mans start, which is crucial in a four-round championship. The next round of the 2018/19 Asian Le Mans Series season is set to take place at the Fuji Speedway in Japan on December 9th. Colin Noble: “You always want to do better, but we know, at least in part, where we can make improvements. “We had bad luck behind the Safety Car when the decision was taken not to allow us to be waved around – that cost us half a lap to the leader in the class – and completing all of my time in the car, two and a half hours on the same set of tyres was really tough when others pitted and caught me on new rubber. “It’s great though to have a new challenge, new circuits and more new opposition. We’ll be in the mix next time out in Japan. Christian Olsen: “By the time I got in the conditions were fine, the fog had lifted, but I was having to push hard to get up to pace on old tyres. Apart from that it was good, we made good progress, but we suffered a penalty at one of Nick’s stops. That cost us time, made worst because of us losing a lap under the second safety car.